Cecelia Gore is a senior level executive with extensive experience leading community/external affairs, foundation and sports philanthropy. She leads strategic change and transformation in her current philanthropic role with the Brewers Community Foundation, the charitable arm of Milwaukee Brewers Baseball Club. Gore maintains operational excellence, consistently advises on innovative strategies which support efforts to achieve recognition as a strong corporate citizen, and engages in activities that support the community. Gore previously represented one of the largest independent and most active foundations in the history of Greater Milwaukee philanthropy, the Jane Bradley Pettit Foundation where she led grant-making and managed board relations. She has served as a board member and committee chair for numerous nonprofit organizations. 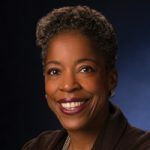 Currently, Gore serves as a director for C. G. Schmidt, a family owned/private construction company as well as Froedtert Hospital, The Greater Milwaukee Foundation, Sojourner Family Peace Center, Milwaukee Film and Alverno College. She has received numerous awards and recognition including a Doctor of Humane Letters, Honoris Causa from Carroll University. She looks forward to serving as co-chair of the 2019 United Way Campaign. Gore resides in Milwaukee, WI with her husband, Randy Bryant.